The Aussie Fire Captain QP205S from Australian Pump Industries has the same configuration as the Fire Chief model but has a heavy duty steel roll frame instead of steel skids. With anti vibration mounts also, the frame can provide extra protection for the unit and added ease of transport. 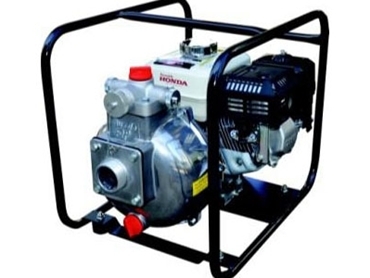 The Fire Chief Plus QP205SL is a big single impeller pump but it’s petrol engine is a Honda 6.5HP, 9HP or 13HP all supplied with oil alert and cast iron cylinder bore. The Fire Chief Plus includes a full heavy duty roll frame which has pump performance figures of up to 510 litres per minute flow. The final extension of the Aussie Fire Chief is the Aussie “Mr T” Fire Pump QP205SLT which is a heavy duty twin impeller with a difference. The large, closed vane impeller allows a lot of water into the pump and then the second impeller takes the water and hurls it through the pump to create high pressure and high flow that are unmatched. The max head is 95 metres and the max flow is 480 litres per minute.